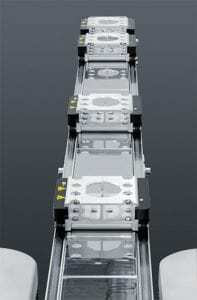 The Multi-Carrier-System (MCS), a configurable transport system, is jointly manufactured by Siemens and Festo. The MCS delivers unparalleled levels of flexibility and can be easily incorporated into existing processing and packaging environments. 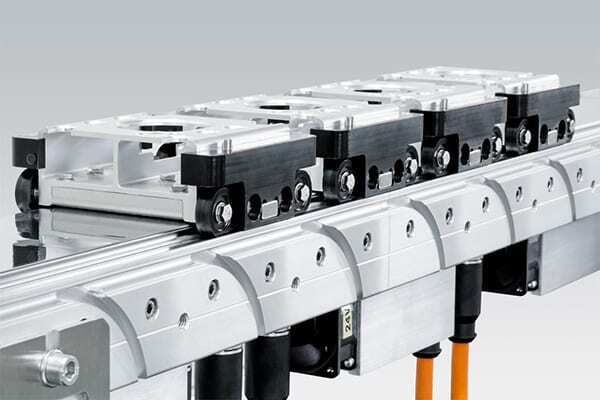 The MCS addresses the acute need for flexibility in modern manufacturing and production environments driven by increasingly complex product diversity, shorter product life cycles and growing levels of mass customization. 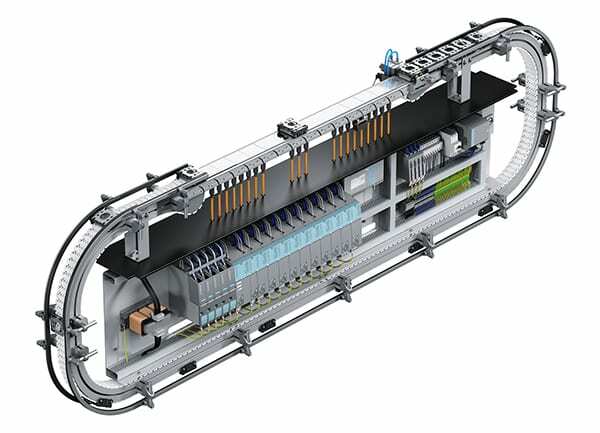 In this configurable transport system, the transport carriages, which are driven by linear motors, are flexibly moved to the individual units, e.g. filling, closing or labeling unit. 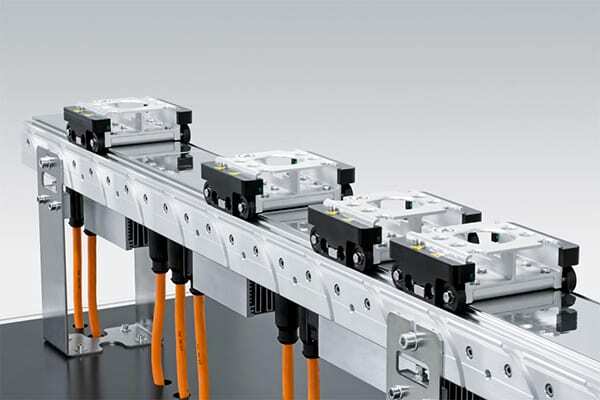 The system moves freely and exactly synchronously to the process and can be integrated in the existing intralogistics – including seamless loading and unloading of the carriages. The other transport paths remain unchanged. The modular concept allows a quick conversion of the machine to different formats, other product types or seasonal requirements. 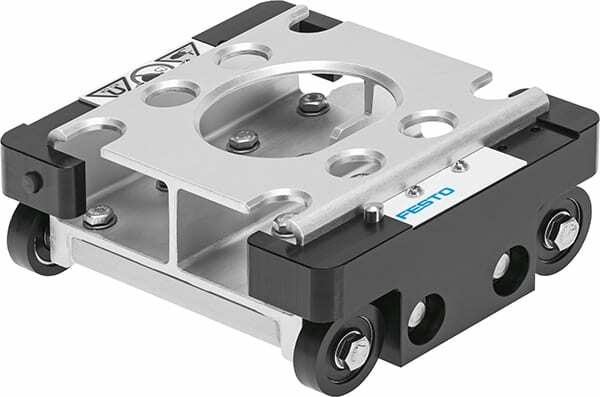 The integrated concept allows control of the transport movements and Motion Control functionality as well as the coordination of additional machine module. The MCS incorporates options for processing and packaging customers to achieve goals for advanced manufacturing. Some of these options are flexible electromechanical design for economic production down to batch sizes of one and decentralized sensors and intelligence incorporated within the work piece carriers and drives. The modular servo controller and the motion controller also fully reflect the cyber-physical integration of Industrie 4.0 systems. The system provides OPC Unified Architecture (OPC-UA) messaging enabling open integration into Industrie 4.0 architectures and enterprise systems such as SAP. Siemens offers a comprehensive portfolio of seamlessly integrated hardware, software and technology-based services in all aspects of packaging. Siemens supports the packaging industry on an industrial scale enhancing flexibility and efficiency processes and reducing the time to market. Siemens Corporation is a U.S. subsidiary of Siemens AG, a global powerhouse focusing on the areas of electrification, automation and digitalization. With approximately 348,000 employees in more than 190 countries, Siemens reported worldwide revenue of $86.2 billion in fiscal 2015. Siemens in the USA reported revenue of $22.4 billion, including $5.5 billion in exports, and employs approximately 50,000 people throughout all 50 states and Puerto Rico.